Chefs are leading an improbable resurgence of the mature sheep meat—though many U.S. palates remain resistant. From the 19th to the early 20th centuries, mutton was one of the of the most popular proteins on U.S. restaurant menus: mutton cutlets in Madeira sauce, mutton in peppery Cajun sauce piquante, breaded mutton, braised mutton with tomato sauce. In fact, from 1859 to 1862, those first two preparations of mutton, or mature sheep's meat, were listed 79 times on the daily menu of the Fifth Avenue Hotel in New York City, according to Paul Freedman, author of Ten Restaurants That Changed America. And then within fifty years, mutton virtually disappeared from fine-dining menus. Now, a century or so later, mutton seems to be strolling back for another graze on the green pastures of pop culture. Adventurous chefs are shepherding mutton burgers, mutton chops, and mutton-topped bowls of noodles onto American menus again. The question is whether this dressing up of mutton in certain restaurants is another fad like bacon-topped everything, or if it signals what will become a true comeback for this once-ubiquitous meat. Even lamb, which is essentially sheep less than a year old, can be a tough sell. While it is one of the fastest growing menu items, and retail demand has been improving since 2012, Americans still consume far less lamb—less than a pound per year—than other meats. Contrast that to the estimated 50 pound of pork and 58 pounds of beef eaten, on average, per person in 2017. Americans' antipathy, or even aversion, to sheep is a divergence from other meat-obsessed nations. New Zealanders devour about 40 pounds of lamb per person, and Greeks eat about 31 annually. Many in the industry believe that American distaste for mutton started after World War II. The story goes that cans of mutton were sent en masse to feed G.I.’s fighting in Europe. Hoards of young men came home so sick of the gamey flavor, they said they never wanted to taste mutton or lamb again. “That’s got kind of a legend feel to it,” says Freedman, who is skeptical of the widely held anecdote. He believes that larger events and cultural shifts impacted the nation’s food preferences years before the Second World War. Prohibition, growing concerns about health, and changes in female standards of beauty which began admiring slimmer, more athletic-looking bodies were more influential on mutton than the war. By the 1920s and through the Depression, the old-style of elaborate Euro-centric dining gave way to a preference for lighter, milder fare. Gone was terrapin and wild duck washed down with Bordeaux. Easier, gentler—and more boring—meats like beef steak, baked turkey, pot roast and chicken became America's favorite mains. Mutton did not completely disappear from American diets. It is still on the menu at century-and-a-half-old Keens Steakhouse in New York. It is the defining meat for Owensboro barbecue in western Kentucky, and it has long been a staple in many Native American communities. More recent immigrants from Africa, Latin America, South Asia, and the Middle East have been generating new demand for both lamb and mutton, which has, in turn, crossed over into some high-end dining. 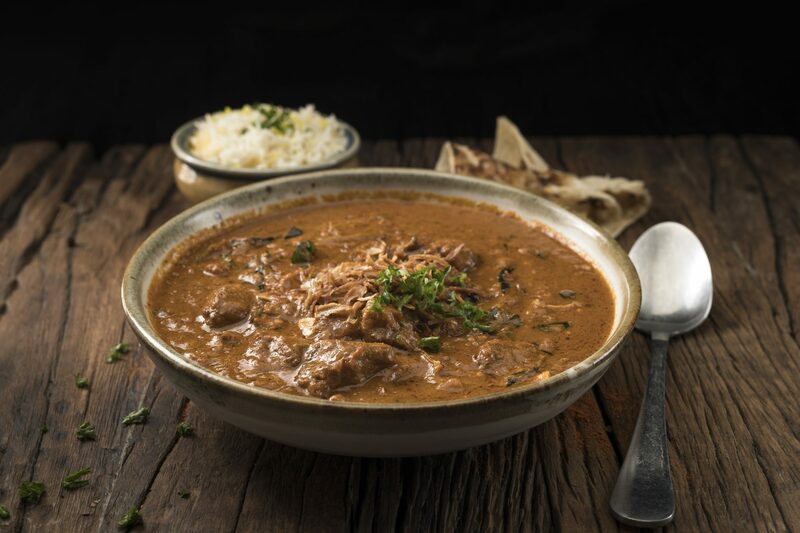 “Mutton in general is really popular in Indian cuisine as Muslims don’t eat pork and Hindus don’t eat beef,” says Hetal Shah, owner of San Francisco’s August 1 Five. The team at the popular contemporary Cal-Indian spot are currently working on swapping out lamb dishes for its more flavorful, senior counterpart. 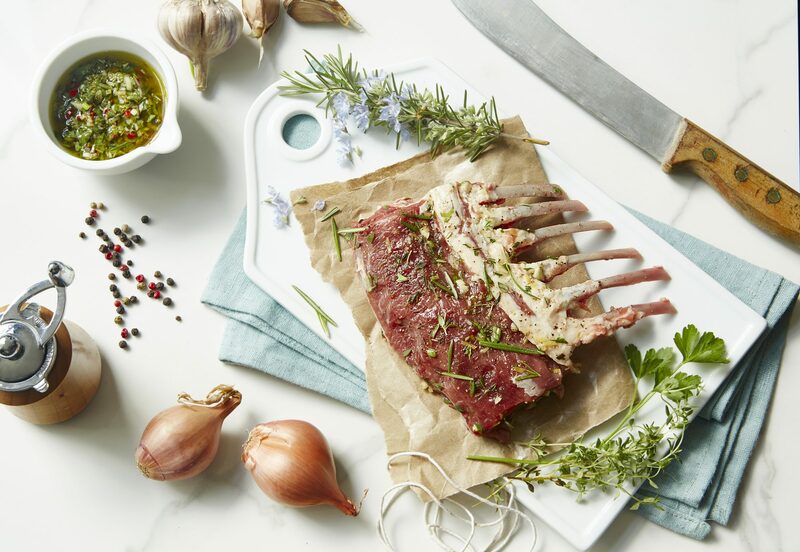 When the American Lamb Board first started a marketing campaign and programs back in 2002, it believed that debunking the myth that lamb is strong and gamey would be the key to increasing sales. Around 2015, the marketing organization switched its tagline to “Adventurous Flavor.” It knows consumers—especially millennials—are embracing bolder flavors than the Baby Boomers. When Seamstress embroidered itself onto the Upper East Side cocktail scene three years ago, it herded a mutton burger onto its opening menu. Topped with fermented carrots, fennel, curried pickles, and triple cream brie, the funky burger has become a staple that stands up to the bar’s inventive cocktails. “I never thought of changing it when I took over,” says current chef Alex Webber. In Australia and the United Kingdom, mutton has been in the midst of a resurgence for the past few years due to butchers dry-aging the meat. That technique is what makes the mutton chops at Freedman’s, a recently opened new-school Jewish deli in L.A., so tender. Chef Liz Johnson buys whole one-and-a-half to two-year-old sheep from a Southern California farmer, who dry-ages the entire beast for five-weeks before butchering it into chops. When the aged mutton arrives at the Silver Lake restaurant, Johnson marinades it in anchovy, grills it to a nice char and serves it with anchovies and classic mint jelly. Johnson wasn’t searching for novelty when she decided to try mutton on the menu. The chef wanted to feature a meat that could be ordered to temperature. She tried beef but was unhappy with the quality for the price point she was seeking. Then she sampled local lamb but felt like the West Coast product was too mild, too similar to veal. That’s when she approached the farmer about mutton. Johnson loved it straight off the bat. Mutton is the protein featured in one of the most popular and few permanently available dishes at North, the innovative Providence, Rhode Island share plates restaurant. There, chef James Mark combines upper cuts of the whole beast ground with organ meats as a vehicle for aggressively spiced dan dan noodles, brimming with squid, fermented chile and black pepper. Every two weeks, Mark buys three whole sheep from nearby Hopkins Southdowns Farms. The bulk goes into that bold noodle dish, but the chef regularly highlights other cuts in various specials like tartare, roast loins, and sticky glazed ribs. Mutton may be old, but perhaps this is the kind of facelift it needs. If the open-minded diners who come to North can be happy with the formerly scorned meat, there is a chance, at least, that the rest of dining world will, too.